like some great cat with padded paws. outdistanced, and outdistanced further still. publishers of Roger Craik’s Of England Still, where this poem appears. Roger Craik, Associate Professor of English at Kent State University Ashtabula, has written four full-length poetry books – I Simply Stared (2002), Rhinoceros in Clumber Park (2003), The Darkening Green (2004), and, most recently, Those Years (2007), nominated for a Pushcart Prize and translated into Bulgarian in 2009. 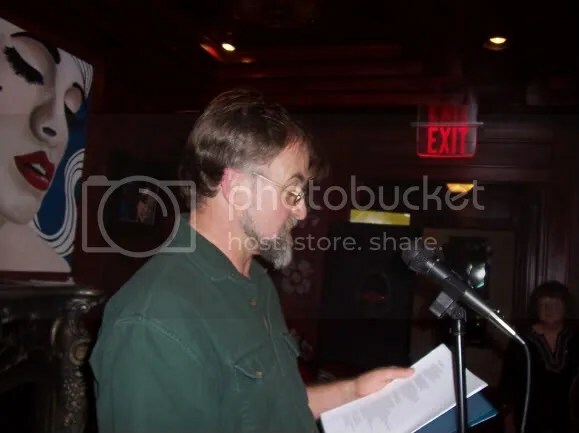 His poetry has appeared in several national poetry journals, such as The Formalist, Fulcrum, The Literary Review and, most recently, The Atlanta Review. His latest book, Of England Still, is now available from Finishing Line Press. English by birth and educated at the universities of Reading and Southampton, Craik has worked as a journalist, TV critic and chess columnist. Before coming to the USA in 1991, he worked in Turkish universities and was awarded a Beineke Fellowship to Yale in 1990. He is widely traveled, having visited North Yemen, Egypt, South Africa, Tibet, Nepal, Japan, and, most recently, Bulgaria, where he taught during spring 2007 on a Fulbright Scholarship. Poetry is his passion: he writes for at least an hour, over coffee, each morning before breakfast, and he enjoys watching the birds during all the seasons. and currently serves as an Associate Professor of English at Kent State University, Ashtabula, in Ohio. second-hand, in England, twenty years ago. The date is written in the front, in fountain pen. the thought of him for close on fifteen months. Roger Craik, Associate Professor of English at Kent State University, Ashtabula, has written three full-length poetry books – I Simply Stared (2002), Rhinoceros in Clumber Park (2003), and The Darkening Green (2004) – and his work has appeared in several national poetry journals, including The Formalist, The Literary Review, and Fulcrum. English by birth and educated at the universities of Reading and Southampton, Craik has worked as a journalist, TV critic and chess columnist. Before coming to the USA in 1991, he worked in Turkish universities and was awarded a Beineke Fellowship to Yale in 1990. He is widely traveled, having visited North Yemen, Egypt, Tibet, Nepal, Japan, Poland, and Bulgaria (where he taught during the spring of 2007 on a Fulbright Scholarship).